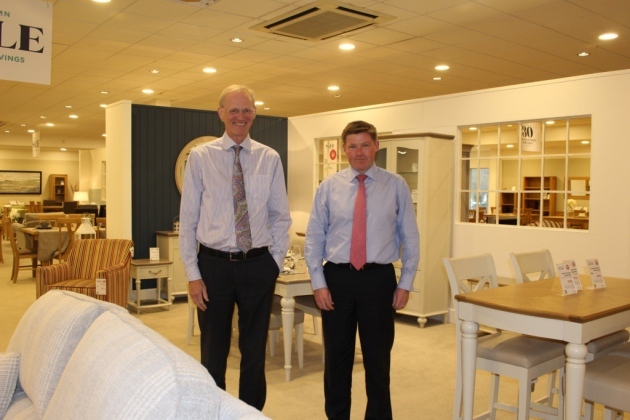 Home furnishings retailer Glasswells has unveiled the second phase of a £1m revamp of its flagship store in Bury St Edmunds. The family-owned firm is carrying out the work at the store in Newmarket Road as part of ongoing celebrations marking its 70th anniversary, which have also included opening a new shop in Sudbury. Managing director Paul Glasswell said: “We last carried out big works in Bury St Edmunds in 2003 and while it has stood the test of time, we felt last year’s anniversary was a great chance to look at the infrastructure and carry out some big changes in the store. “Our first phase was to hold a big clearance sale in the summer which allowed us to clear a big part of the store. We then started on the second phase around the furniture section, and the layout of this particular area, as well as replacing all the flooring. A third phase of work is planned for next year, when the building’s atrium will get an overhaul, taking the total cost of the project to more than £1m. Mr Glasswell added: “We have been part of Bury St Edmunds since 1946 and we are very proud of our Suffolk roots. “Both in terms of overall cost and the sheer scale of the work, this shows our commitment to this area.